It’s a new day and a new month. Looking back, I’m glad with the way April went. I signed up for my first graduate class, I pulled off a couple of successful fundraisers and stepped up my training for the half-marathon, and I helped put on a great walk to benefit the CCFA. It’s going to be another busy month, but I’m looking forward to fewer commitments than I had last month. My main goal right now is to get prepared for my half-marathon. I’m focusing on my training and making up the ground I’ve lost. I was going over my training from this season and realized that the end of March hit me hard. About half-way through the month, I was doing great and on target to increase my speed for this half. But that’s when the pain kicked in and the last two weeks of March I hardly did any working out at all. I picked up where I left off in April, but was about three weeks behind at that point. But I’m excited that I reached my goal of running 7 miles in April! Now I’m hoping to find a good pace for myself to get back to where I need to be. And while I didn’t drink 100 ounces of water EVERY day, I’ve actually done pretty well with getting myself into a routine of drinking at least that much. And on the days that I didn’t make that goal, I still usually drank about 75 or more ounces. I’m planning on continuing to get into the habit of drinking more water every day. I have some other things that I am going to be preparing for this month, as well… but more on that later. Prepare myself to run/walk 13.1 miles in just one month. Secure final donations/sponsorships for Team Challenge fund. Join the group in Charlotte for send-off party and BBQ fundraiser. Apply for some other scholarships. Start brushing up on some communications theories. 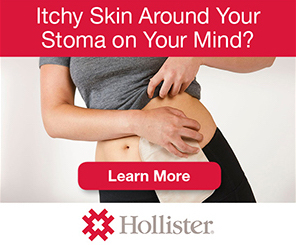 Celebrate 1 year of living a better life with my ostomy! Continue to drink at least 100 ounces of water EVERY day. Host a big Mother’s Day brunch for Hughes, Lindsey and Frye families. Read Emma for Jane Austen book club and host this month’s meeting! This entry was posted in Active Ostomy, Personal, Stolen Colon, Team Challenge and tagged blog, dreams, exercise, goals, life, monthly goals, run on May 1, 2013 by Stephanie Hughes.